Yesterday was a rather eventful day. The trip from Kumamoto City to Mt. Aso was congested as usual. Once we arrived, we immediately received a detailed briefing about the facility and regulations. Pretty strict place. Right after the briefing, we started the seminar. With all the lost time, we could only go through 3 chapters that day. 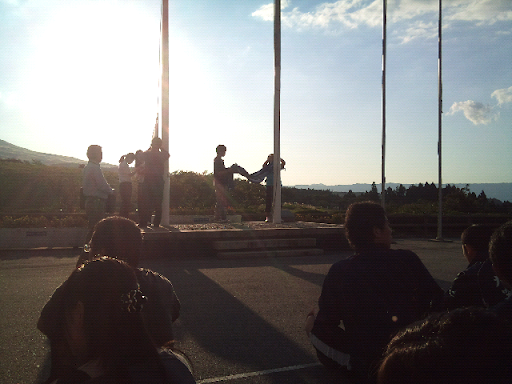 The photo was taken during the evening ceremony, and two of our 4th year students took part.